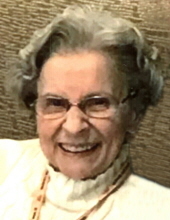 HOLLANDALE/VERONA-Margaret Louise Hendrickson, age 94, of Verona, passed away on Wednesday, Feb. 6, 2019, at Ingleside Manor. She was born on April 27, 1924, in Lafayette County, the daughter of Rudy and Ida (Mellom) Schraepfer. Margaret graduated from Blanchardville High School and later married Ole Hendrickson on March 11, 1945. They farmed in the Hollandale area for 24 years before moving to Verona where Margaret worked for Dane County Food Service. Margaret was a member of the Red Hat Ladies, loved a good joke and enjoyed playing cards. She had a true love for music and was known to be a very kind and caring person. Margaret is survived by her granddaughter, Lori; many nieces and nephews; and extended family and friends. She was preceded in death by her parents; husband, Ole; son, Tom; daughter, Sandi; a brother and sisters. A Celebration of Life will be held at GUNDERSON CAMACHO MOUNT HOREB FUNERAL AND CREMATION CARE, 500 North Eighth Street, Mount Horeb, at 10 a.m. on Friday Feb. 8, 2019, with Pastor Paul Bawden presiding. Burial will be held at Verona Cemetery. "Email Address" would like to share the life celebration of Margaret Louise Hendrickson. Click on the "link" to go to share a favorite memory or leave a condolence message for the family.